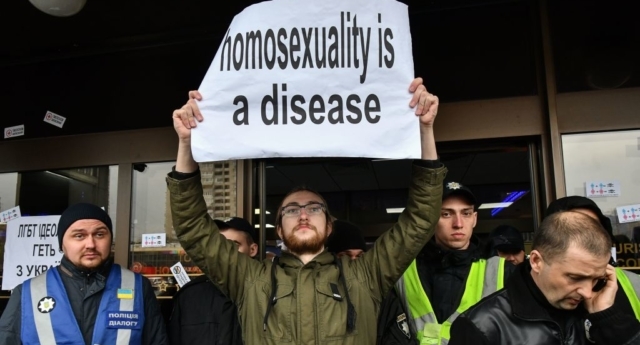 Anti LGBT+ protesters descended on a hotel yesterday (April 11) in Kiev, Ukraine where the European Lesbian Conference (ELC) was due to kick off. Dozens of protesters blocked the entrance to the hotel and held signs that said “homosexuality is a disease” and “go back to hell sodomites,” according to the Thomas Reuters Foundation. A number of protesters also allegedly tried to break into the hotel to throw tear gas canisters but were prevented by police, according to Olena Shevchenko of LGBT+ group Insight. 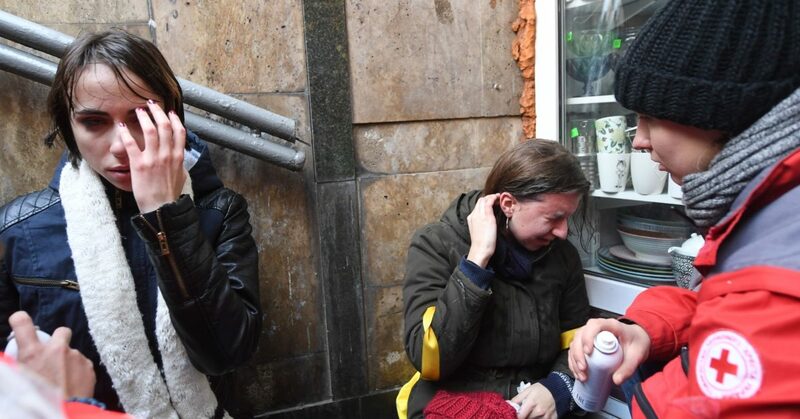 Oksana Pokalchuk, director of Amnesty International Ukraine, posted photos to Twitter which showed broken windows at the hotel and “homophobic threats” written on walls. One protester, Margarita Korotkikh, said their goal was “to put pressure on the government and explain that heterosexuals are against LGBT propaganda,” according to Public Radio. The group of protesters was reportedly made up of about 35 people mostly from religious groups. When the conference kicked off today, Shevchenko took to the stage and asked attendees: “Are you scared?” which drew a chorus of “No!” in reply. 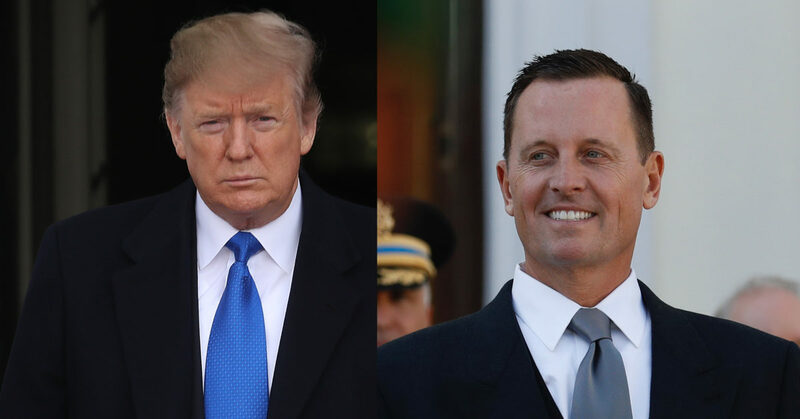 Participants in the conference plan to stage a short march tomorrow (Saturday 13 April) in Kiev, however they have said that this will be dependent upon security. Last November, a rally for transgender rights was disrupted in Kiev when a group of religious protesters confronted them and demanded they move to a new location. Holding banners, rainbow and transgender flags, a group of around 40 LGBT+ campaigners relocated in front of the University metro station, to continue their legally-sanctioned rally. But counter-protesters attacked them with smoke bombs and shouted homophobic slurs. Where is gay marriage still illegal in Europe?